Cardinal Luis Antonio Tagle of Manila said that the whole question about the death penalty is something that should be ruled out in the fight against crime. 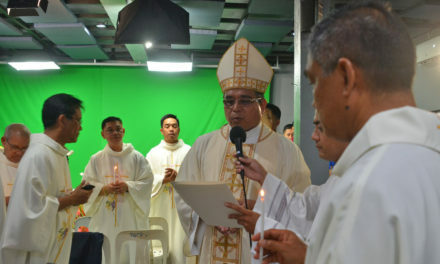 Backing the pilgrims of the 21-day cross-country caravan against death penalty, the cardinal said that capital punishment must be replaced with better alternatives. “The march gives us an opportunity to find ways of fighting crimes, for all crimes violate life, but without resorting to measures that also violate life, like capital punishment,” Tagle said. “With personal and collective study, prayer, discernment and action, we hope to be a people that promote a culture of life,” he said. 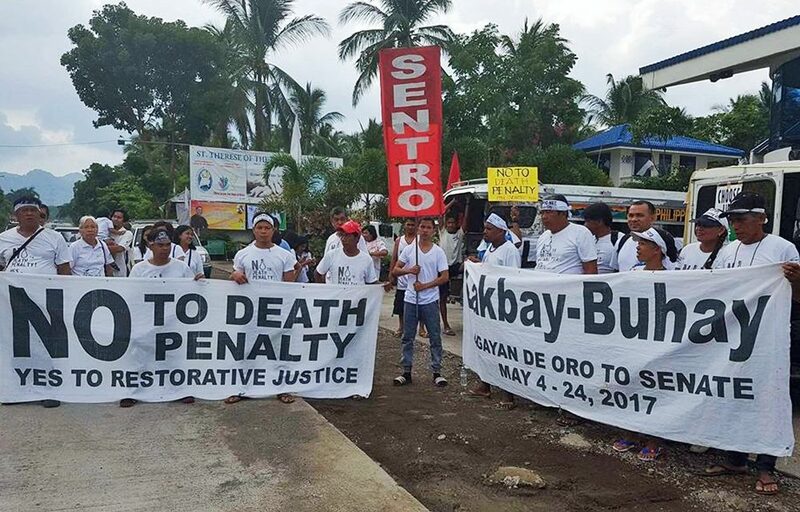 A multi-sectoral group of cross country pilgrims reached Cavite province on May 18, or 15 days after embarking on “Lakbay-Buhay”, a march-caravan all the way from Cagayan de Oro City in Mindanao to drum up public awareness against death penalty. Backed by the CBCP National Secretariat for Social Action (Nassa), the marchers are composed of 14 core pilgrims from various sectors including women, farmers, fishermen, laborers and the youth. 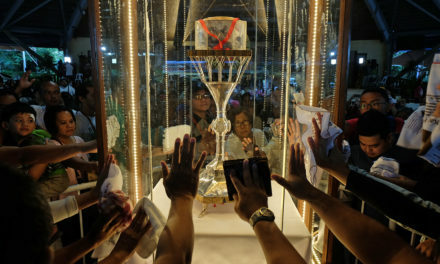 Passing through the island of Cebu, and the provinces in Eastern Visayas, Bicol and Southern Luzon, the pilgrims were joined by civil society groups, human rights advocates and church people throughout the route of their journey. Nassa executive secretary Fr. Edwin Gariguez said the march also aims to affirm their “unqualified stand for the right to life”. 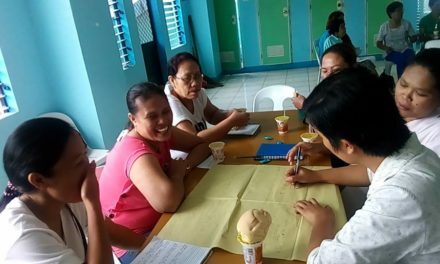 The Catholic Bishops’ Conference of the Philippines (CBCP) earlier praised the initiative, saying that more lay faithful “are becoming more and more socially engaged”. “It is our duty as pastors to encourage them, to bless them and invite more lay faithful to assist them in the mission of social transformation,” said Lingayen-Dagupan Archbishop Socrates Villegas, CBCP President. 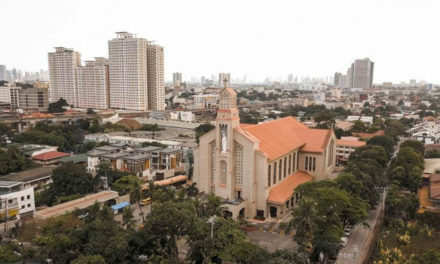 The marchers will arrive in Metro Manila on May 19 wherein they will stay at the Ateneo de Manila University in Quezon City. In solidarity with the campaign, the Jesuit-run university has covered its fence with white cloth—a symbolic gesture to remind everyone of the value and dignity of every person. 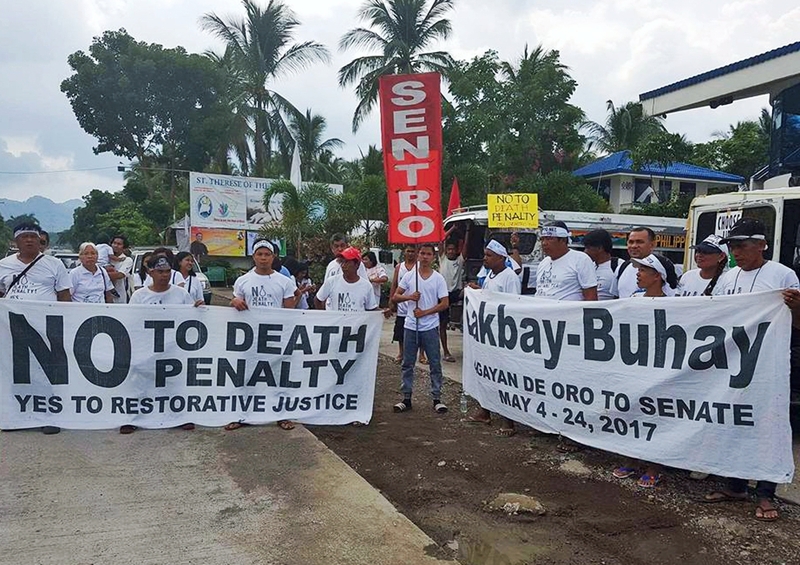 In a petition to be delivered to the Senate on May 24, the marchers urged the senators to reject the death penalty, saying that it is anti-poor and will not deter crime in a country with an imperfect justice system. “In the country, in their inability to get good lawyers and where some judges can be bought, death penalty only punishes the poor, and some of them believed to be innocent,” they said. The petition also warned the legislators that restoring the capital punishment is unlawful as it violates existing international treaties where the Philippine government is signatory to. And these violations, according them, also constitute economic repercussions. “The European Union will be forced to impose tax to 6,000 export products from the Philippines,” it said, adding that the country puts at risk about US$12.3 billion worth of trade. According to the marchers, these possible consequences will primarily affect farmers and fisherfolk and their livelihoods. “We pray for our Senators to decide based on conscience and reason and to side with the poor on this matter by rejecting the death penalty,” they said. On May 21, the marchers will join thousands of people for a 5pm Mass to be presided over by Cardinal Tagle at the University of Santo Tomas.